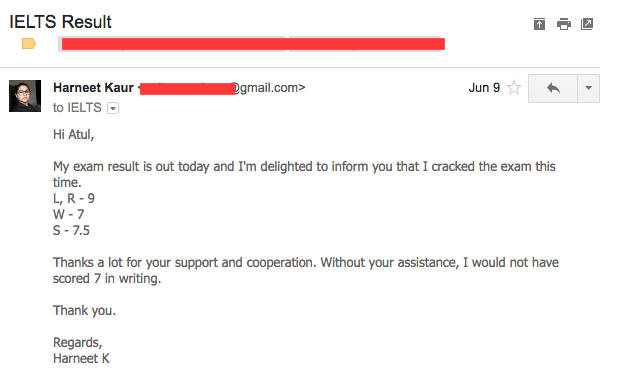 I am sending this just to say a big thank you for your help. 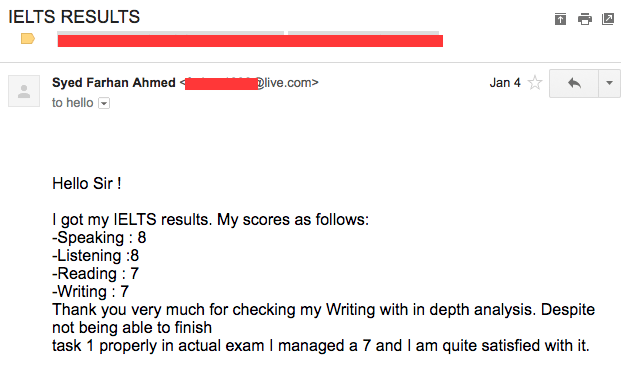 Today I got my IELTS exam results and I got an overall 7! I know that without your help I could not get such a great score. Not only your course was really helpful but also the corrections service was amazing! Thanks for the great services that you are offering! Thank you for your fantastic course! I just got my results R9 L9 W8 S9 - overall 9! Excellent course.....highly recommend!! I would like to thank IELTS Twenty20 for helping me score 8.0 in my IELTS test. I have a full time job so I had no time during weekdays. With IELTS Twenty20 online course I could study while travelling to work. I figured I needed extra help with writing so I also scheduled 1-on-1 Skype tutoring lessons on weekends and late evenings. I really enjoyed learning from my online IELTS tutor on Skype. She was very supportive and answered all my questions patiently. I would definitely recommend IELTS Twenty20 to others. I got 7.5 in all bands. I am a huge fan of IELTS Twenty20 and it became a part of my daily IELTS preparation. Thanks guys for creating such a nice website. 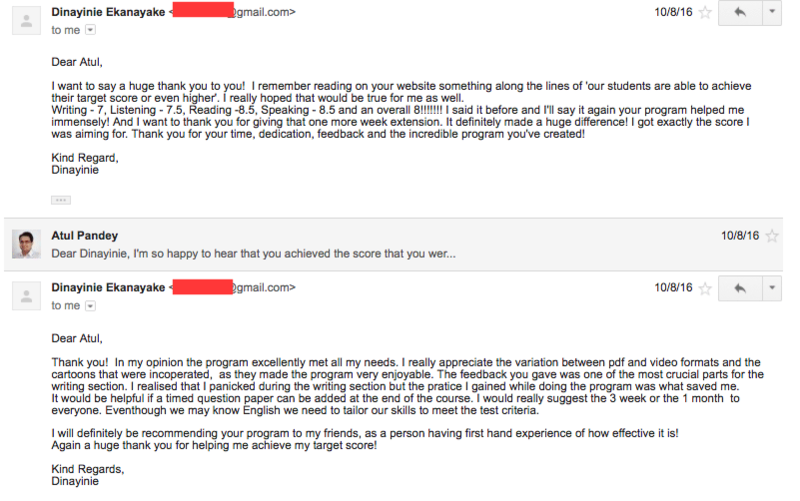 I am so pleased with the progress that I made in just 10 days studying with IELTS Twenty20. I used to go on IELTS Twenty20 as much as Facebook. 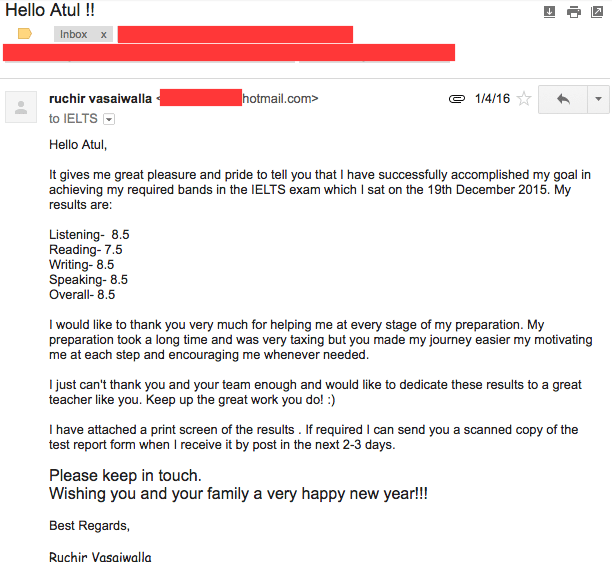 :) I almost want to take the IELTS again so that I can have fun preparing with IELTS Twenty20 once more. 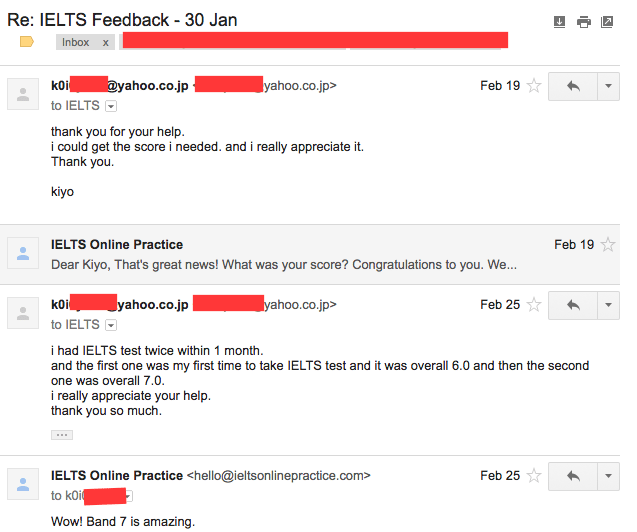 Q: How do I get started with IELTS Twenty20 Online Course? To signup for IELTS Twenty20 online course, simply go to our course options page and select the plan that is right for you. Q: Can I pay in AUD? How much would I have to pay and how do I make the payment? Account Name: Wisekangaroo Pty Ltd. Send an email with a copy of the receipt to hello@ieltsonlinepractice.com. Your login details will be sent to you within 24 hours. Q: What exactly do I get with the IELTS Twenty20 Course? You get a total of over $1000 worth of study material and services, at a FRACTION of the cost. Q: Is it a ONE TIME payment or are there any more hidden charges? You read it right. It is just a ONE TIME payment for the plan you buy. This will give you full access to all 100+ IELTS tutorials and playlists and feedback for writing and speaking tasks as long as your subscription lasts. That's fees paid once and never again :). Q: Do I get writing task corrections and speaking task feedback as part of the course or do I need to pay extra? We offer writing task corrections and speaking task feedback with the purchase of all our course options . You get a detailed report for each writing and speaking task that contains specific instructions on how you can improve your scores. We have a number of assignments as part of the course. You can also pick writing or speaking tasks from any book or website and send it in for correction. 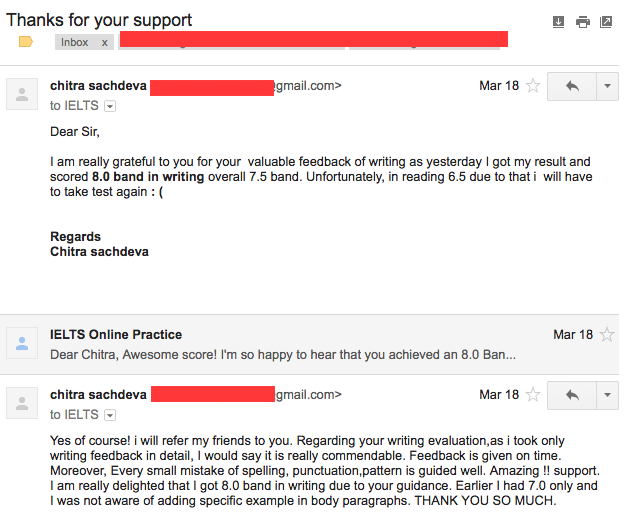 Q: How does the writing task correction process work? For writing tasks, you choose a task from the IELTS Twenty20 course, type it in notepad or your favourite email client and email it to hello@ieltsonlinepractice.com. 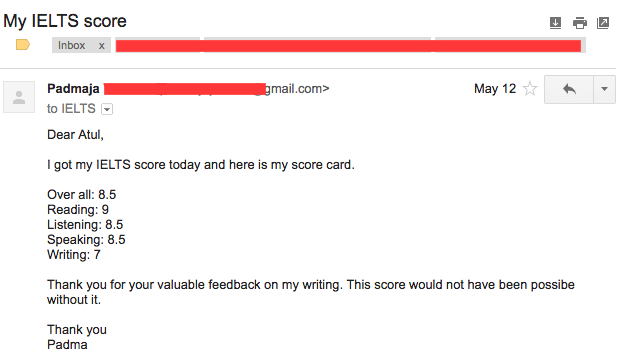 You will receive a detailed feedback report with corrections and scores within a 24 hours. Some students hand-write the tasks and email us the scanned pages which is also acceptable. 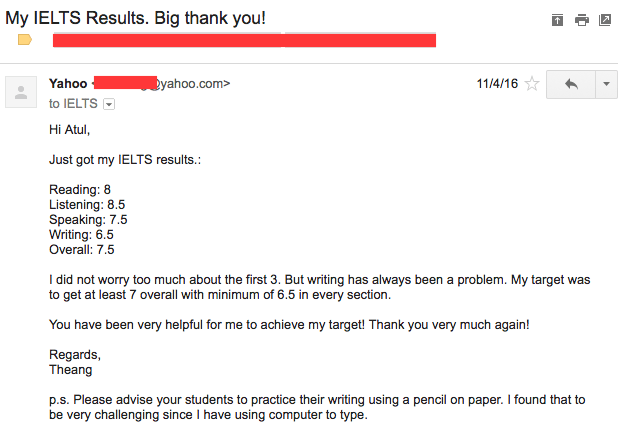 If you wish you can also choose writing tasks from any IELTS book or website. Please note that tasks sent on the weekend can take up to 48 hours. Q: How does the speaking task correction process work? For speaking tasks, you choose a task from the IELTS Twenty20 course, record your voice using a smart phone and email the file to hello@ieltsonlinepractice.com. You will receive a detailed feedback report with corrections and scores within 48 hours. If you wish you can also choose speaking tasks from any IELTS book or website. Please note, tasks sent on the weekend can take up to 48 hours. Q: Which IELTS Twenty20 course option is right for me? From our experience we know that every IELTS candidate is different. Some need just a little bit of help to score well while others need a lot of support, feedback and motivation. We have created different membership plans. Choose as per YOUR individual needs. All plans come with a money back guarantee so you have nothing to loose. Q: How is everything delivered to me? 100% Online. You’ll create a login as part of the checkout process. This will give you instant access to all the 100+ IELTS playlists and tutorials. No files to download. Access from anywhere anytime. Q: I have an IELTS exam in 3 days. Can I still use IELTS Twenty20 Course? Yes, absolutely. When you register for IELTS Twenty20 course, you get full access to all 100+ IELTS lessons & playlists. You can study them as quickly or as slowly as you wish. 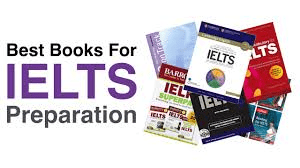 Many students go over the course material several times to prepare thoroughly for the IELTS exam. Our tutors are available 24/7 for support via email in case you have any questions. Q: Which IELTS test is IELTS Twenty20 Course designed for... General Training or Academic Training? What if I'm not sure which IELTS test I'm taking? Q: What if I am not satisfied with my purchase? We have a 30 day 100% money back guarantee. 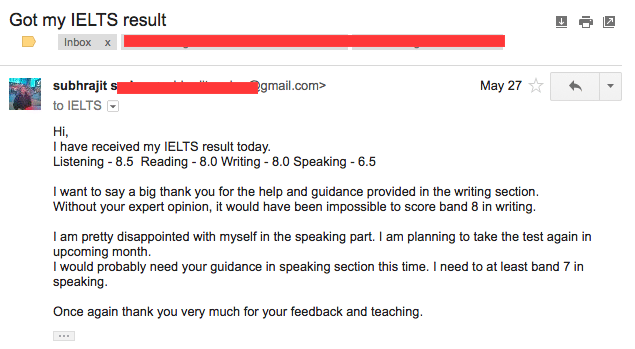 If for any reason you are not satisfied with our IELTS course just email us at hello@ieltsonlinepractice.com and we will give you a full refund. No hassles. No sneaky fine prints. Q: How do I contact you in case I have a question or concern? If you have any questions or concerns regarding our IELTS Twenty20 course just email us at hello@ieltsonlinepractice.com and we are happy to help.